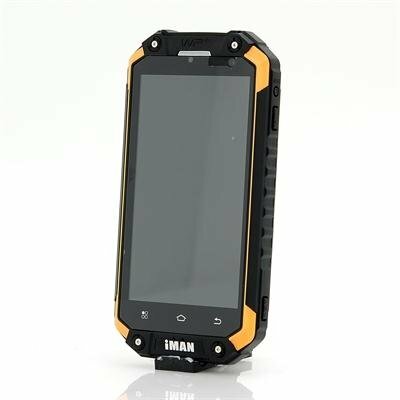 Successfully Added iMan i6 IP67 Rugged Phone - Octa-Core 1.7GHz CPU, 2GB RAM, Android 4.4, 4.7 Inch 720p Display to your Shopping Cart. 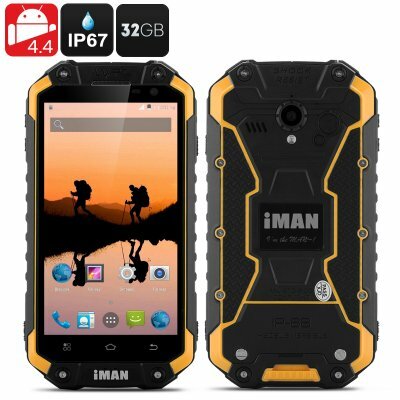 The iMan I6 is an IP67 rated rugged phone that has an Octa-Core 1.7GHz CPU and Android 4.4 so you get features excellent specs with extra protection. The tough outer shell of the iMan i6 ensure that it maintains an excellent waterproof, dust proof and shockproof ability that rewards it with an IP67 Rating. With a 4.7 inch capacitive screen that displays in 720p, you won’t be disappointed when watching videos or playing games on this device as the image is sharp and bright. To ensure it doesn’t suffer from lag THE iMan put in 2GB of RAM and it uses the efficient Android 4.4 operating system that brings streamlined multitasking capabilities as well as a host of other features to give you a quality performance. Completing this outstanding performance is 32GB of internal memory that will allow for a large amount of data and media files to be stored on the phone so you can keep your favorites songs and videos with you as well as have plenty of room for apps from he pre installed Google Play store. As this phone is designed for the outdoors it requires a beefy battery to keep it running all day long and with the 3500mAh battery in this device you won’t be let down as it can power this phone for some 250 hours in standby or give you 4 to 6 hours of talk time. However if you’re stuck without a network single then the included antenna lets you change this phone into a walkie talkie. What’s more with NFC and Bluetooth support its easy to transfer data and files wirelessly with other devices. There is even a 13MP rear camera and 5MP front facing camera which can be accessed quickly via the dedicated camera button so you will never miss any of the action again.